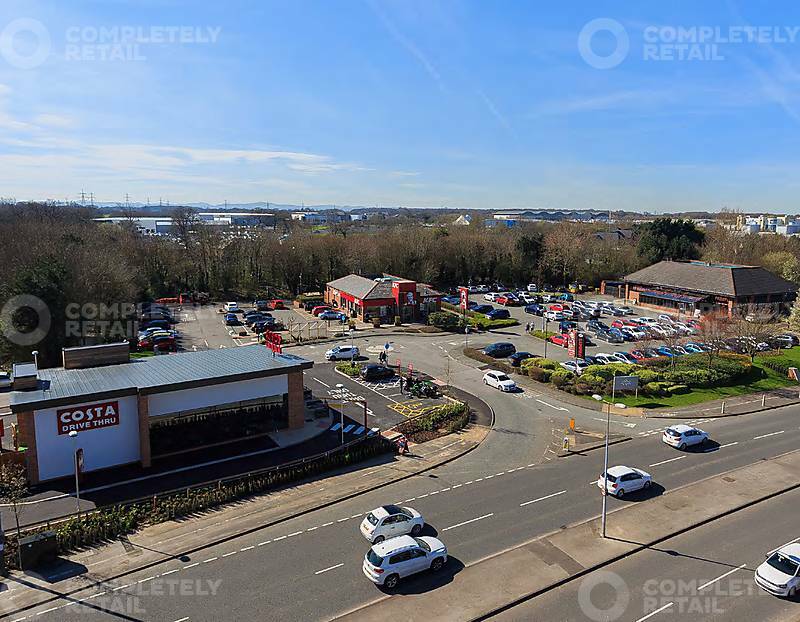 The property comprises three modern restaurant units totalling 9,306 sq ft GIA. The units are let to KFC, TGI Friday’s and Costa Coffee. The units are single storey standalone buildings providing modern restaurant accommodation at ground floor and include commercial kitchens, restaurant areas and customer toilet facilities. Cheshire Oaks Leisure Park is located in the heart of Cheshire, strategically located at the junction of the M53 and M56. Cheshire Oaks Leisure Park is located in a highly prominent and busy location at the entrance to Cheshire Oaks Designer Outlet, Cheshire. Situated approximately 7 miles north of Chester, 15 miles south of Liverpool and 37 miles south west of Manchester.